My koozies arrived yesterday and I couldn't be more excited! It sort of, kind of, feels like I am "official" now. All grown up. This blog has been a labor of love for the last two years and I am so thankful that I have an outlet for my passion. Through this site, I have found other people like myself, that also love tailgating and gamedays and I hope our community keeps growing. 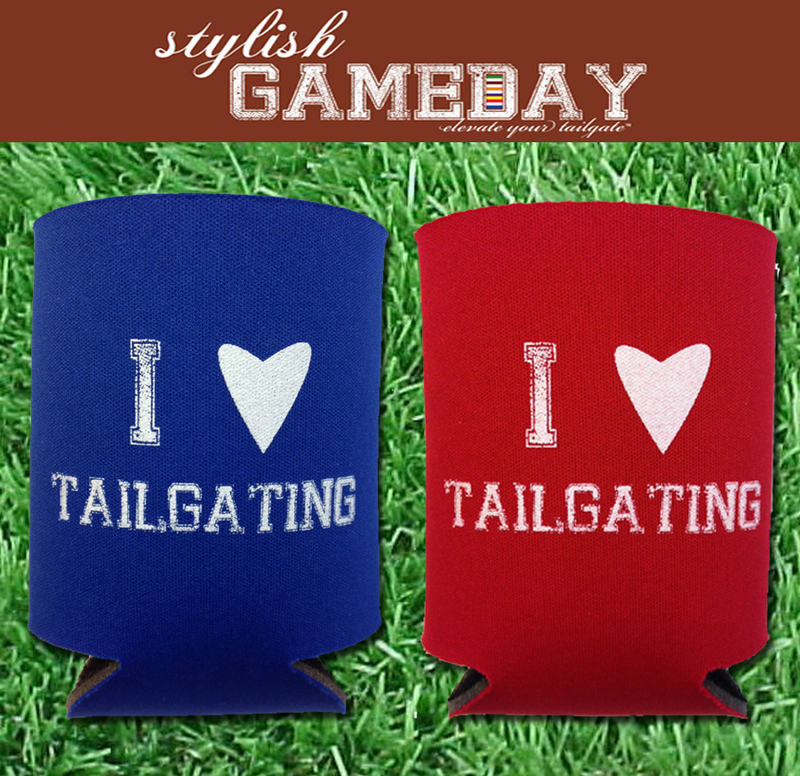 In order to share the love and express my gratitude, I am giving away 2 koozies of each color to 5 people. Please leave a comment and tell me what you would like to see/read more of here. More recipes, gameday fashions, tailgate toys, tailgate tips, etc.? Extra points if you like my Facebook page and follow me on Twitter. Thanks to everyone that commented and entered the giveaway! I have a limited supply available for sale, check the Shop Page. Hi! Thanks for the comment. Can you send me your name/email so I can enter you into the drawing? Love to see more Game Day Fashion!! Love your blog! Would love to have you as a featured blogger on mine! Thanks so much. I would love to be a featured blogger! Love your blog! Like to see more Gameday fashion. Also enjoy hearing about traditions at various locations /universities. Thanks! Go Gators! I like seeing gameday fashions - it seems to be something pretty unique to your blog and is a very fun topic. Thanks so much for the comments and entering my Giveaway! Make sure to email your addresses and I will mail your koozies out this week.